Our commercial alarm systems are tailored to suit the individual needs of the client. With a 12-month warranty as standard, expert installation, 24/7 monitoring and regular performance checks, peace of mind is included – at a competitive price. 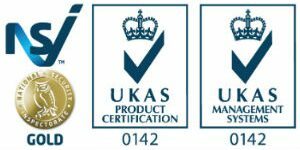 We’re proud of being awarded NSI Gold accreditation, which means you can be confident that all the work we do to secure your property will meet the highest industry standards. Since every business is different, every alarm system we install is different too. Your system is customised to suit your individual requirements and budget, and expertly graded according to individual risk factors. 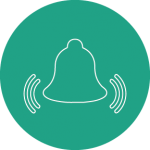 Our bespoke monitoring options transmit through a standard or digital phone line to an ARC (alarm receiving centre). 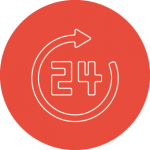 Broadsword Security’s monitoring, response and service, all of which are fully operational 24/7, are an essential part of our working relationship with our clients. Safeguard your premises day and night. To take the stress out of remembering to have your commercial alarm system checked for performance and reliability, we contact you either every 6 months or annually depending on your system, so you don’t have to worry about it. Whether it’s a brand new monitored alarm system, an old system that needs upgrading, or an extension of your existing system, we’re flexible in our approach and can adapt to every demand, meaning your security system can change, grow, or shrink to fit. Request your free home security assessment today. 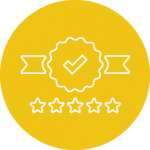 Broadsword boasts over 30 years’ experience in the industry, and our highly trained engineers are NSI (National Security Inspectorate) Gold Standard approved. A demonstration is included in the installation and handover of your commercial alarm system, with expert maintenance and support only a phone call away, 24 hours a day. Broadsword Security boasts over 30 years’ experience in providing fully integrated security systems for all types of business, large and small. 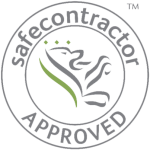 Our team of experts are always on hand to listen to your requirements, so get in touch today for advice and a free quote on making your business property safe and secure.